DangerMan is an American Real Life Superhero who has promoted literacy, safety and good health for children since 1998. He emphasizes the importance of education and encourages children to celebrate the power of reading books, staying in school, being good citizens while avoiding violence and substance abuse. DangerMan founded a 501 (c) (3) non-profit organization, the DangerMan Education Foundation, Inc. to fight childhood obesity and illiteracy. He frequently travels to promote his causes. In order to help support his causes, DangerMan has a number of corporate sponsorships, which include companies like Aetna, AmTrak, Blockbuster, General Motors, Pepsi, Target. There is a DangerMan comic book as well as a fan club, and other merchandise for DangerMan sold under the Urban Superhero franchise. The Urban Superhero character, DangerMan, was created in 1998 by Roger I. Tinsley, an actor, comedian, former security expert, bodyguard, entrepreneur and community activist. Born and raised in the city of Detroit, Tinsley owned and operated one of the largest security firms in Denver. For over fifteen years, Tinsley provided security for many celebrities, which included the Rev. Jesse Jackson, actress Rita Moreno, athlete Earvin “Magic” Johnson, superstar singer & actress Janet Jackson, and three-time Heavyweight World Champion Muhammad Ali. Before donning the DangerMan suit, Tinsley served as a board member for the Denver Victims’ Service Center for 8 years. He was also a member of NOVA, the National Organization for Victims’ Assistance and he was also recognized by COVA, the Colorado Organization for Victims’ Assistance for his outstanding service to the victims’ advocacy movement. 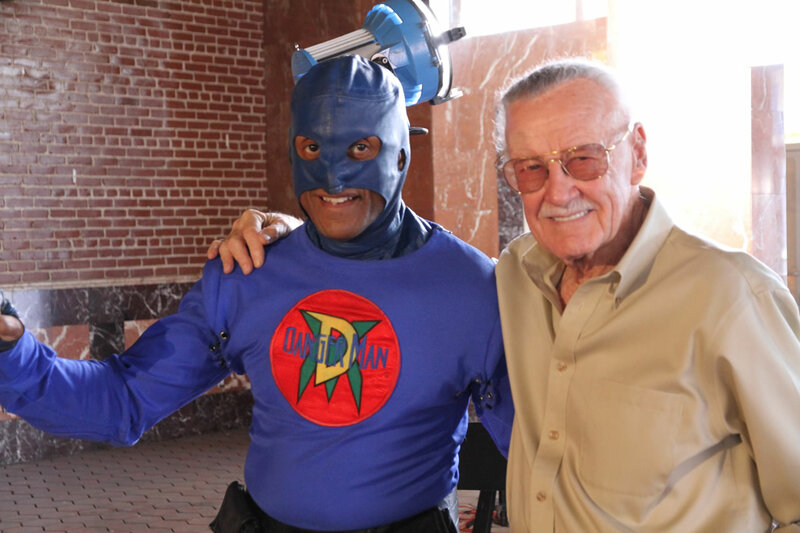 As DangerMan, he travels the US hoping to give a message of hope to children in under-served urban communities. DangerMan will appear in Stan Lee’s Academy of Heroes, which will premiere on Stan Lee’s YouTube channel, World of Heroes.